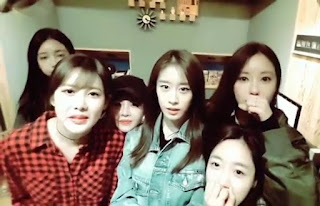 Home » T-Ara » T-ara tease fans about their comeback! T-ara tease fans about their comeback! How long has it been since T-ara's last promotion? It's been a long time, right? Hang in there as the girls are already preparing for their next album. Full details are yet to be revealed but here are Qri, SoYeon, BoRam, JiYeon, HyoMin and EunJung talking about what the fans have been wanting to hear.